Sprinklers need to be checked regularly to ensure that they are spraying correctly , stems are not sticking in the up position, tips are not blocked, seals are not leaking and not been run over by vehicles or lawn mowers. With the increase amount of rainfall we have experienced in Central Florida, your sprinklers should not be coming on as frequently. If they are, then your rain sensors might be in need of repairs or replacement. 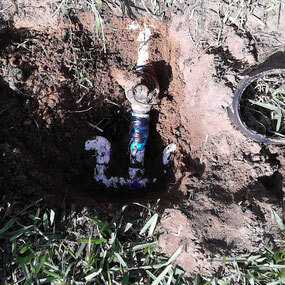 If you are experiencing issues with your irrigation system and are unsure what to do, please Email Us or call on 407-456-1369. We will come out and test the system to find those irritation issues. We provide a free estimate for any repairs that may need to be carried out.